Algebraic geometry, central to pure mathematics, has important applications in such fields as engineering, computer science, statistics and computational biology, which exploit the computational algorithms that the theory provides. Users get the full benefit, however, when they know something of the underlying theory, as well as basic procedures and facts. 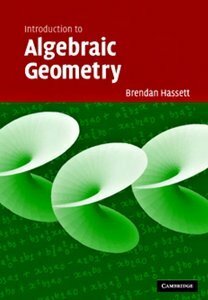 This book is a systematic introduction to the central concepts of algebraic geometry most useful for computation. Written for advanced undergraduate and graduate students in mathematics and researchers in application areas, it focuses on specific examples and restricts development of formalism to what is needed to address these examples. In particular, it introduces the notion of Gröbner bases early on and develops algorithms for almost everything covered. It is based on courses given over the past five years in a large interdisciplinary programme in computational algebraic geometry at Rice University, spanning mathematics, computer science, biomathematics and bioinformatics.